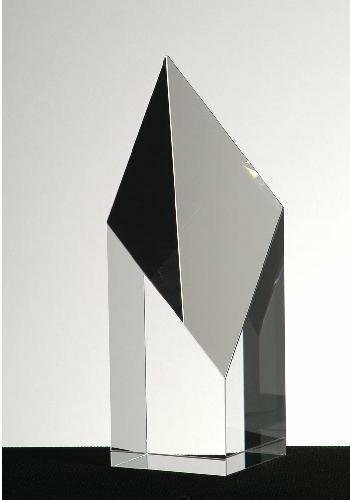 The Diamond Cup Acrylic Award is beautifully crafted from clear acrylic. It features bull-nosed steps on both sides to create a beautiful effect. It's traditional trophy cup shape and design makes it perfect for any occasion! Clear bases are included. Available in two sizes and your choice of blue, red, green or purple painted edge. Frosted and clear edges are also available! 6" wide x 9" tall x 1" thick. 6-3/4" wide x 10" tall x 1" thick.